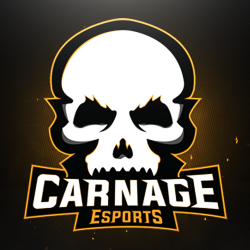 Carnage is a PUBG team ranked 6th in Challenger Relegations for Season 8. From your last 5 matches you have played against 15 of the 16 teams competing in the season (94%). You played against 75 teams (15 unique) outside the top 16. From your last 10 matches you have played against 15 of the 16 teams competing in the season (94%). You played against 150 teams (15 unique) outside the top 16.